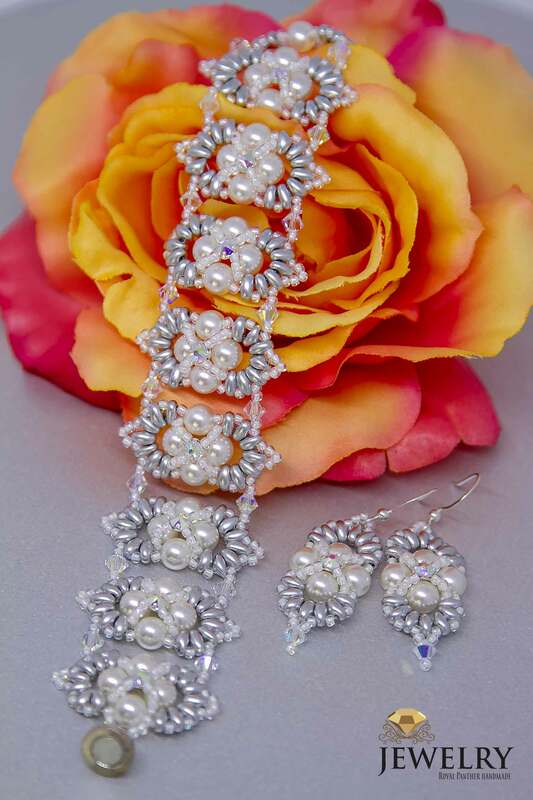 Very beautiful and elegant set which include earrings and bracelet. Handmade jewellery is a difficult task but if done nicely then the resulting product would become a fashion symbol. “Passionate set” is also one of these finest sets of jewellery, expertly handcrafted using attractive and the higher quality beads. 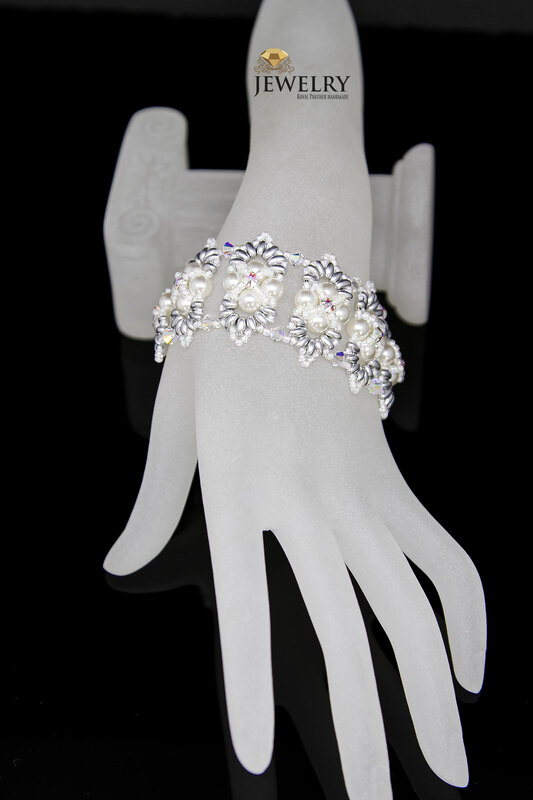 Alluring handcrafted bracelets with equally matching earrings are just marvellous. The choice of trendy coloured beads makes the whole set just amazing. Perfect choice as a wedding gift to give a royal touch. Amazing surprise for your best mate who loves jewellery. 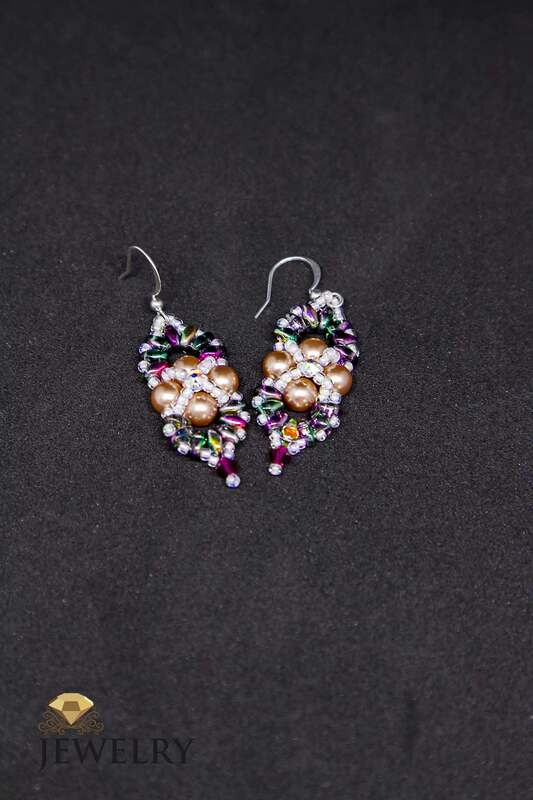 In all season, this set of beaded bracelets earrings will brighten your outfit. Compelling match with fancy gowns or formal party dresses, drawing attention towards you. 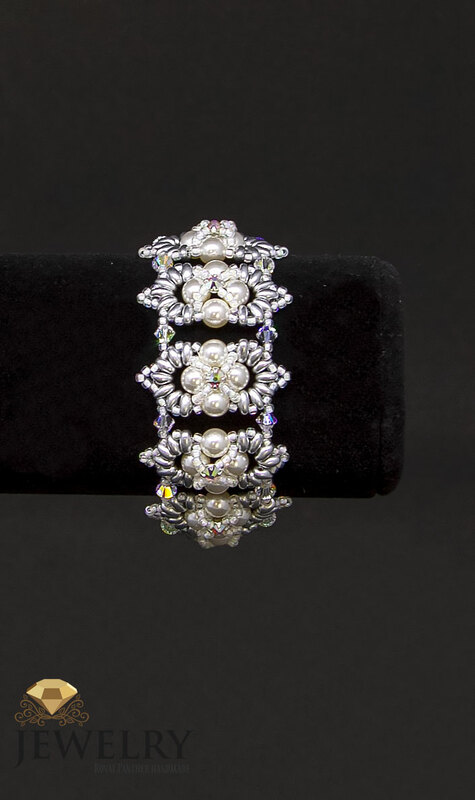 Delicacy is the hallmark of this set of fascinating bracelet and earrings. This handcrafted set is light and comfortable to be used on any occasion. The size of bracelets is flawless, highlighting the wrists. 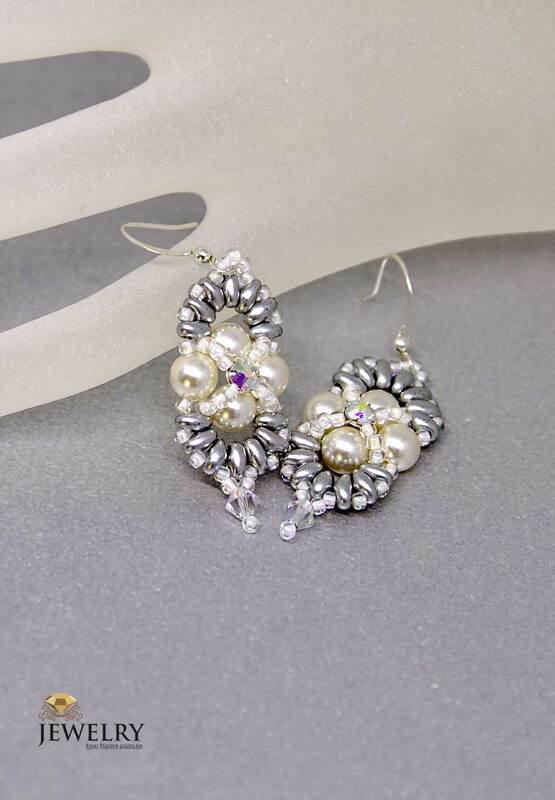 Similarly, earrings curved with beads giving a floral touch to the pattern is just enthralling. 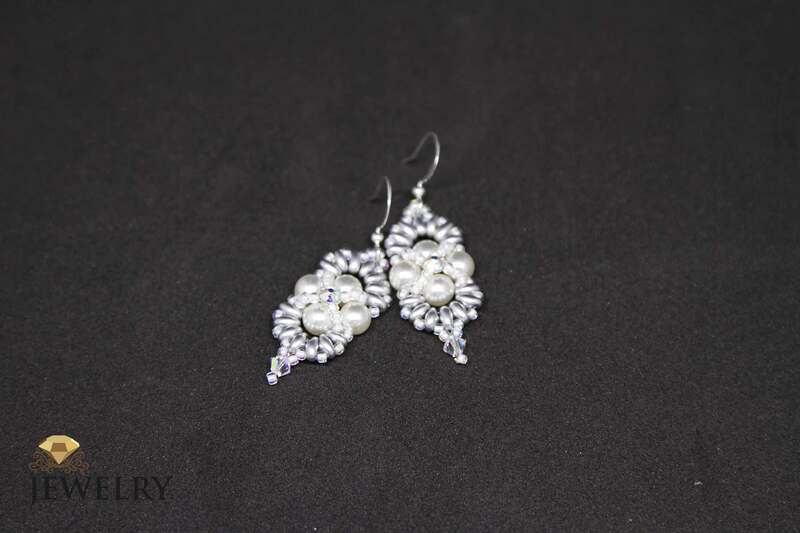 The silver nickel hooks of these earrings declare the faultless presentation. Swarovski elements give sparkling tint to this set. Complete your captivating look with this ‘Passionate set’, available in two main colours and 3 sizes. And just for the jewellery lovers who can’t wait after seeing this product, the price is nominal. 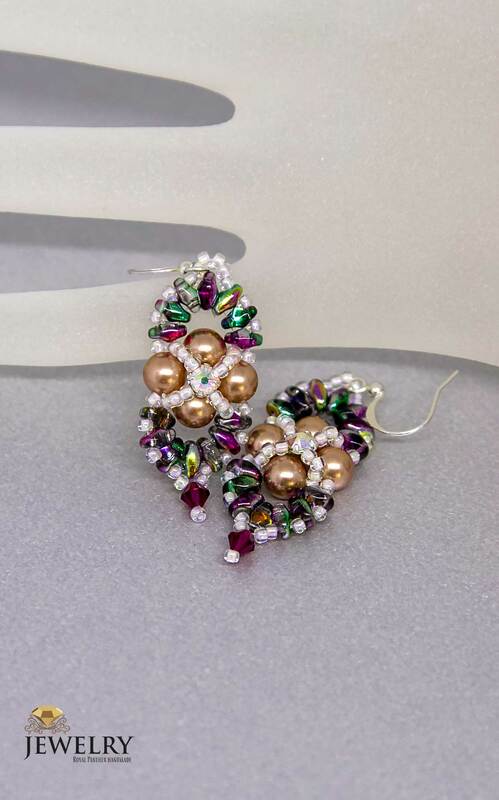 If you looking to buy just earrings from this set, we’ve got it “Passionate earrings”. 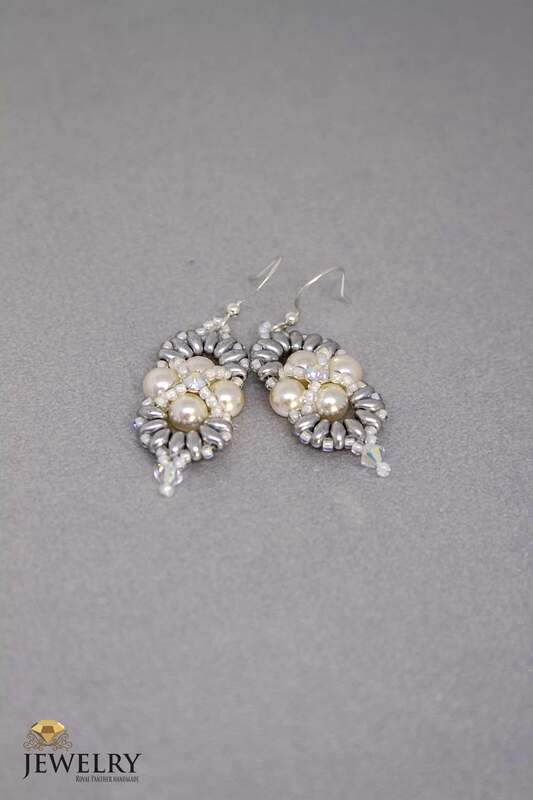 Swarovski White Pearls, montees and bicones. 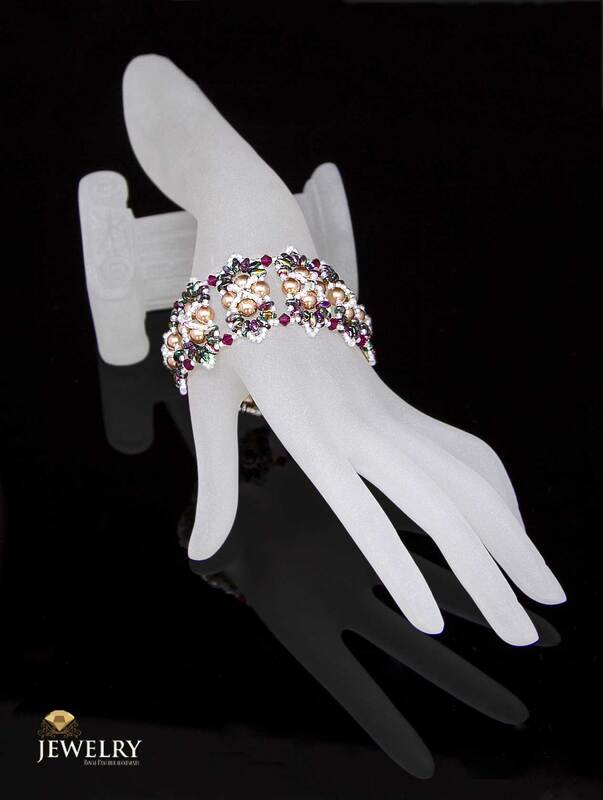 Please read very interesting article Buying beads jewellery with Swarovski elements.